Smithee Zombie Hunter - Zombie go SPLAT! Take your time looking at this panel, there is alot going on. Brain parts etc. 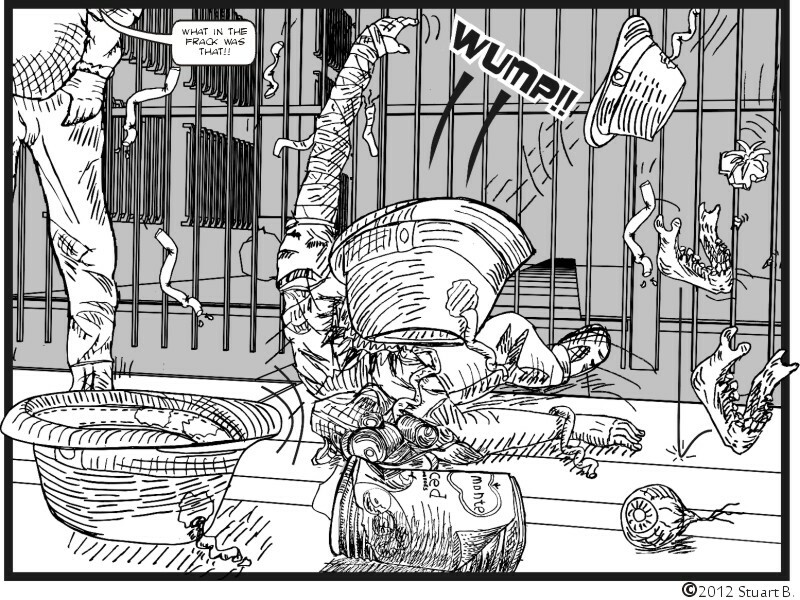 falling, and his hat wafting to the ground with brain hanging out a burnt hole. Yep, exploding arrows are messy.